On this Air Max Day, Nike celebrates the most legendary of sole technologies by unveiling two new collaborations – Heron Preston and Cactus Plant Flea Market. These two new collaborations are part of a huge collaboration plan. 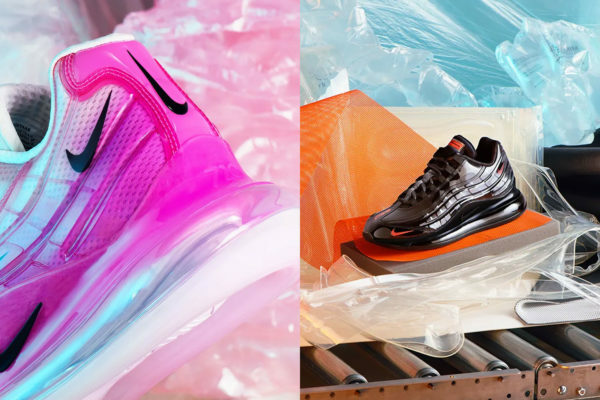 Indeed, Heron Preston and Cactus Plant Flea Market are joining Atmos, Clot and the winners of the “On Air” competitions to start a series of collaborations and special editions on Air Max silhouettes, which will be launched between April and May. To start with Heron Preston, the designer decided to work on a hybrid silhouette. Once again, two Air Max silhouettes will merge to create a new and unique pair. For this collaboration, the designer who is not yet at his first try with Nike offers a hybrid combining Air Max 720 sole and Air Max 95 upper. The pair therefore offers a shape that is both massive and slim between the tubular sole of the 720 and the lines of the 95. 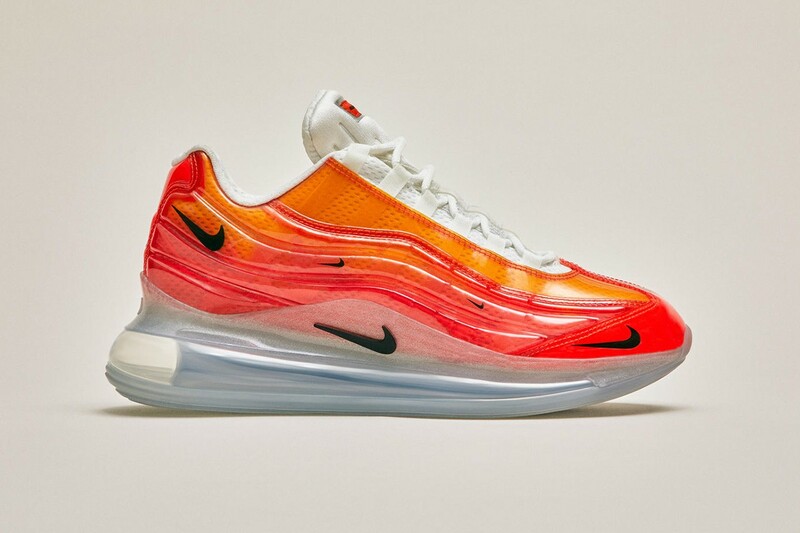 Offered in a first iteration of red, orange and icye for the sole, this Air Max 720/95 Heron Preston by You will be customizable from April 15. 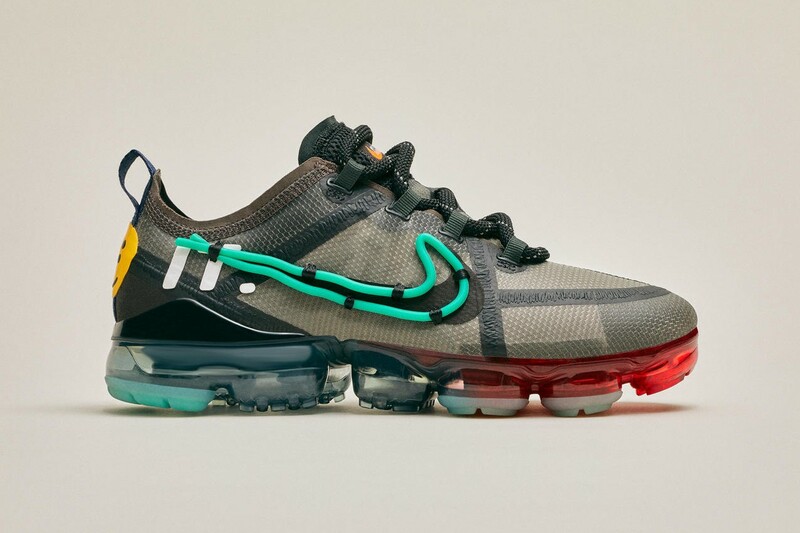 To continue with the pair designed in collaboration with Cactus Plant Flea Market, we find here a VaporMax 2019. Indeed, no hybrid here, but a pair rich in work and detail. Offered on an anthracite black base, the pair features a black swoosh and a second raised turquoise rope swoosh, held by fabric loops, detonating and adding relief to the pair. There is also a yellow swoosh on the tongue and a yellow yoke on the heel tab. The sole work of this VaporMax offers a transparent base and a turquoise gradient towards red from the heel to the toe of the sole. This VaporMax 2019, the result of the collaboration between Nike and Cactus Plant Flea Market, will be available exclusively at Dover Street Market on May 14.